Made of 100% ringspun cotton. Designed by Coco Connor and her daughter Jacqueline Connor ( https://www.facebook.com/jacqadoodle/) . 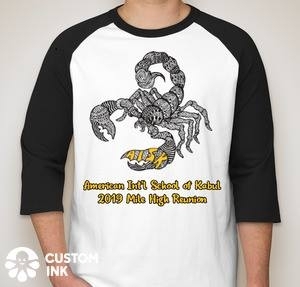 The link below will allow you to order your AISK Mile High 2019 t-shirt. All the shirts will be sent to Coco to save everyone postage & will be handed over in Denver. Order cutoff date is May 1, 2019!! !